August means summer is coming to an end for many school kids, the presidential race is heating up, and it’s time for the Olympics. 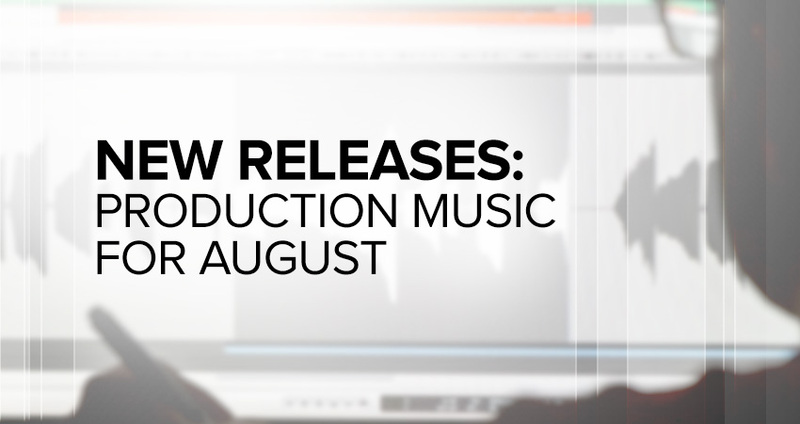 Many production music libraries have released new albums for the month, with some also adding new catalogs to expand their collections further. Here are some new albums available for sync in broadcast projects to check out. Killer Tracks has added 30 new albums for August, ranging from criminal underworlds to spaghetti western. We recommend checking out “Heartfelt Storytellers 3,” a disc with songs perfect for promos and story teases, mixing lush with emotional. “Quiet Orchestra” and “Builders” also provide some interesting options, especially with sweeps on the horizon. MegaTrax added numerous albums this month, from quirky tracks for commercials to Christmas tunes, which are just beginning to appear. While you’ll probably not have a use for “Bavaria” right away, “Living Spaces” has many organic beats that mix technology with rhythm. Many of the new releases from Megatrax are in eclectic categories, so have fun exploring. Warner/Chappell Production Music increased its collection with the addition of the 9 Lives Music catalog this summer, along with many new releases. For those EDM production music fans, we recommend checking out “Future House – Modern Dance & Pop.” But in all seriousness, “Losses – Themes of Loneliness, Pain & Despair” present many moving tracks for covering tough subjects. Just in time for football, they’ve also added “FANatic – Sports Rock,” with lots of driving guitar riffs for sports. APM Music added a new collection in late July, Seventh Sense, that features seven tracks on each album. “Light & Dark Tension” provides many subtle themes, while “Acoustic Fun Promos” features many tracks already cut and timed for air. VideoHelper recently launched “Intensity Neutral” in its VH Projects collection. The album features pulsing, driving beats that grab attention and provide movement. “Game of War” provides many urgent and epic tracks that grab attention while “Quirky 2” provides a nice break in the action and drama for promos. Watch for more “New Releases” on NewscastStudio next month, as we help you find new and thoughtful production music for your next promo, tease or campaign.